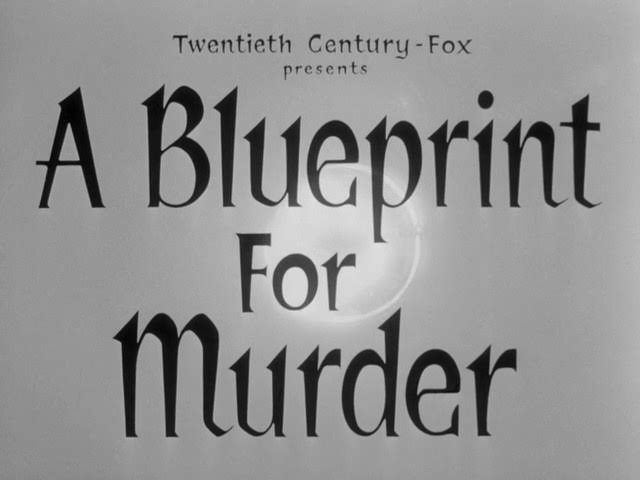 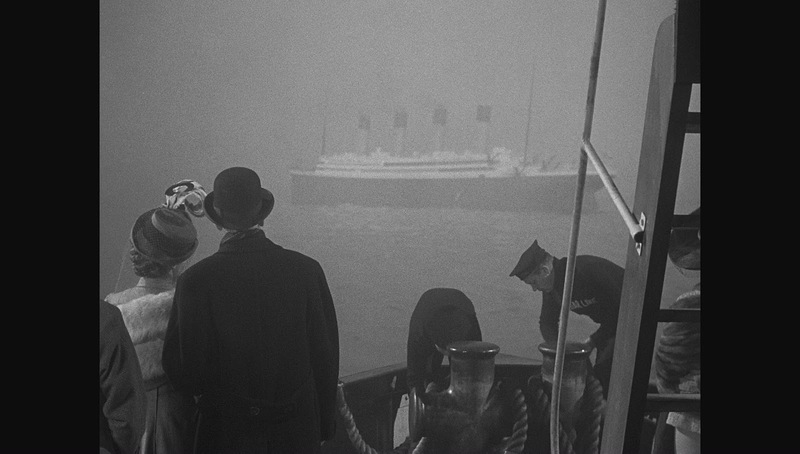 model ships in the cinema: Titanic 1953, Gentlemen Prefer Blondes 1953, Dangerous Crossing 1953, Blueprint for Murder 1953. 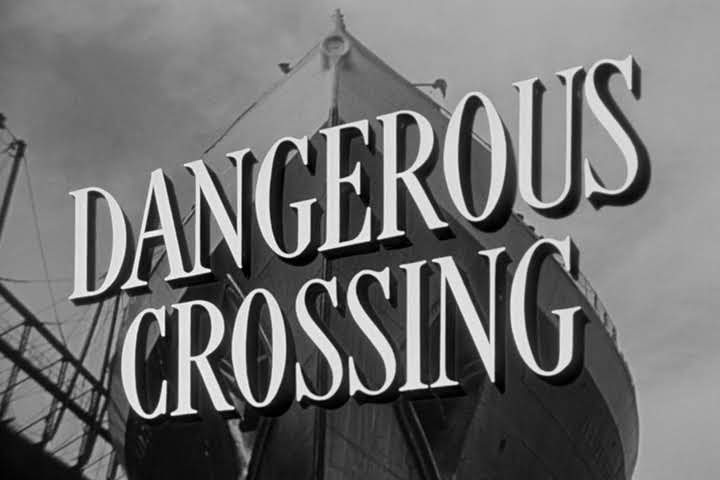 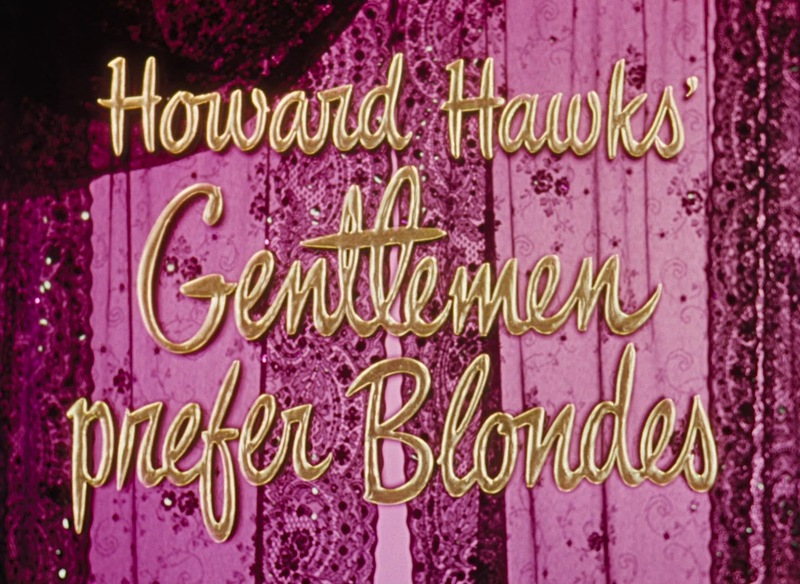 Titanic 1953, Gentlemen Prefer Blondes 1953, Dangerous Crossing 1953, Blueprint for Murder 1953. 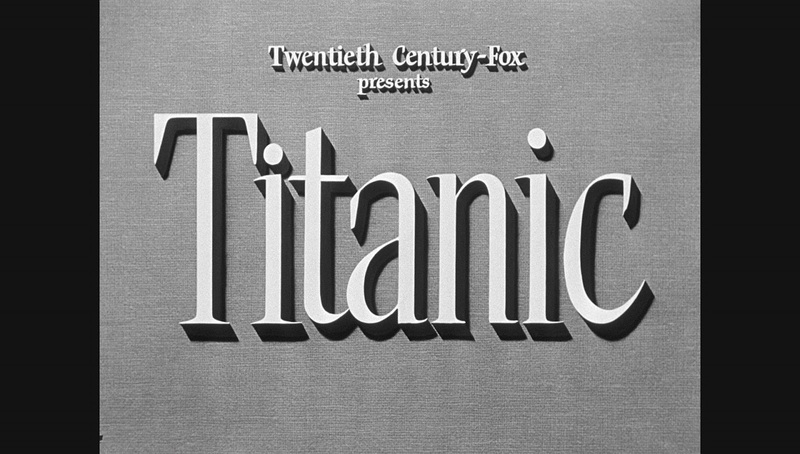 This is generally regarded as the lesser Titanic movie however it has some very creditable miniature effects work supervised by Ray Kellogg. 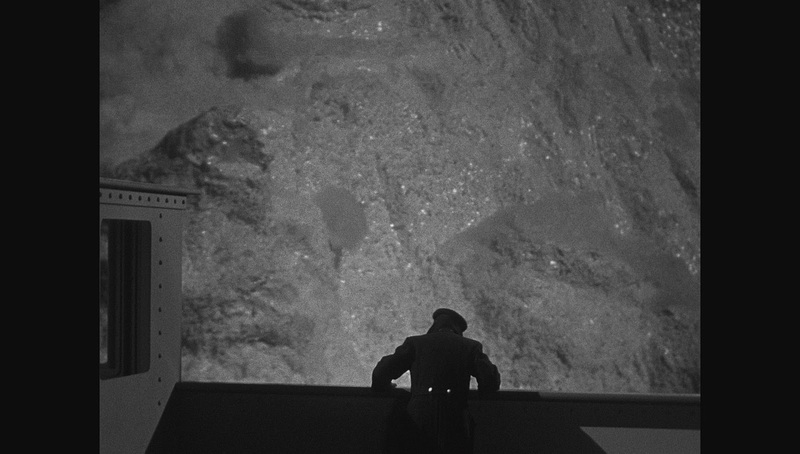 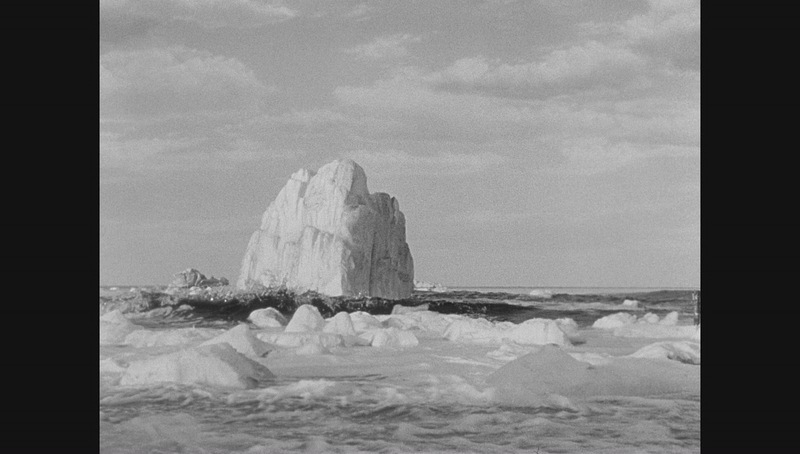 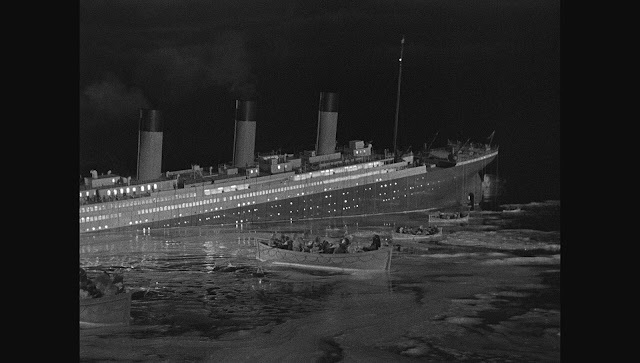 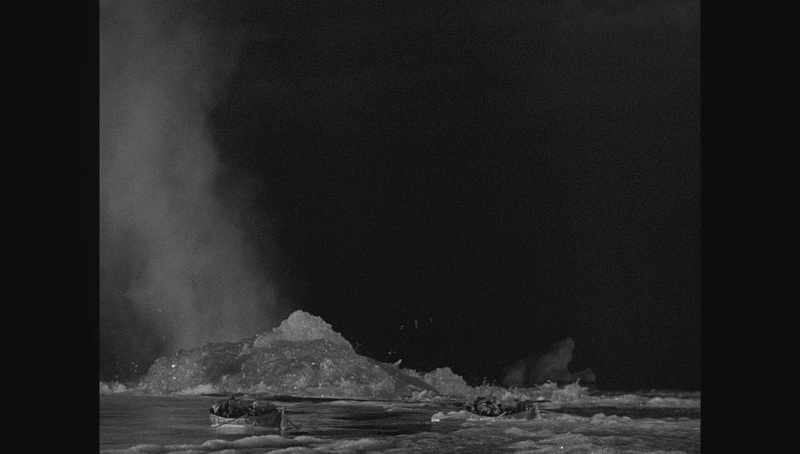 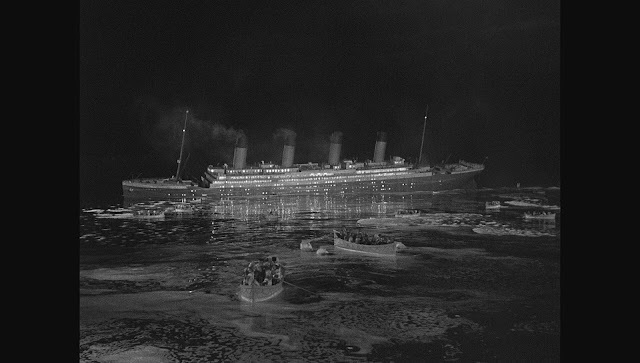 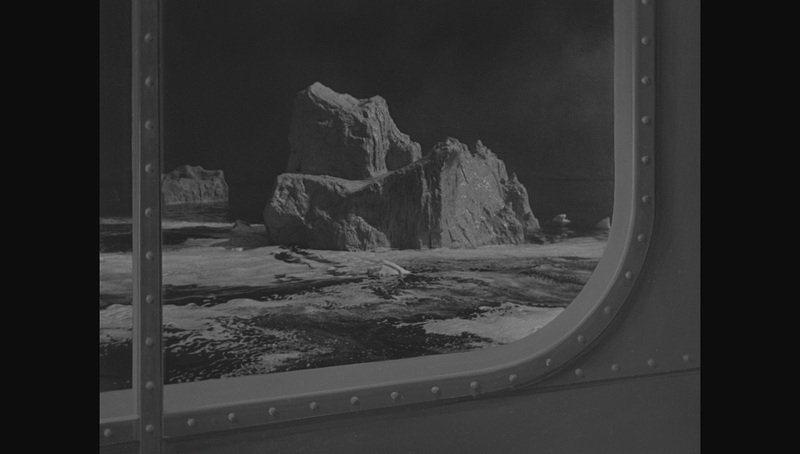 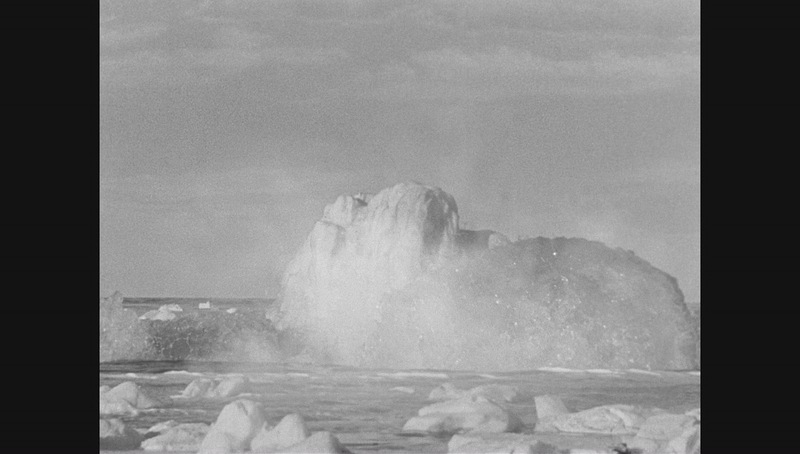 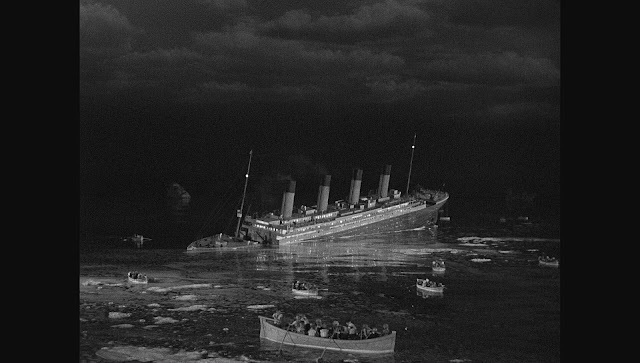 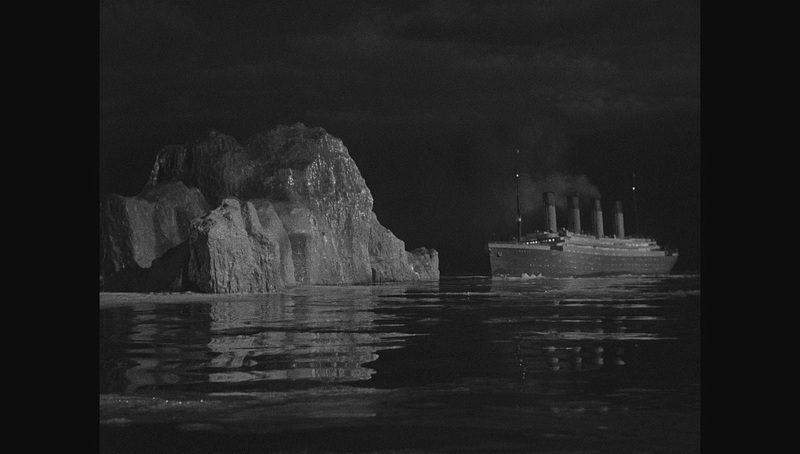 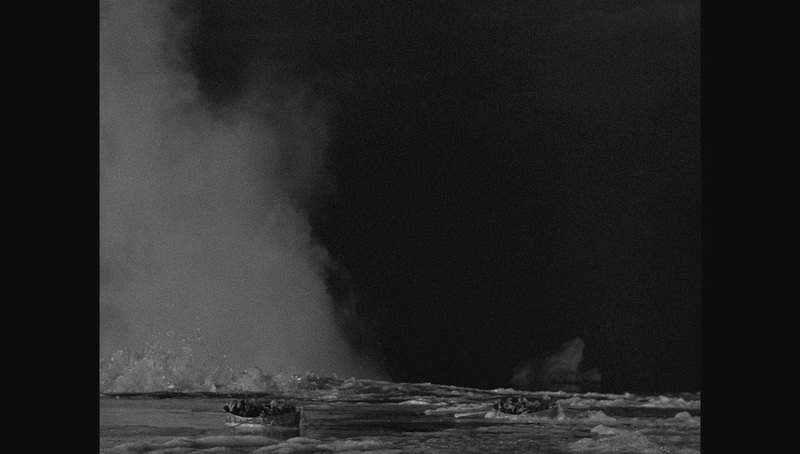 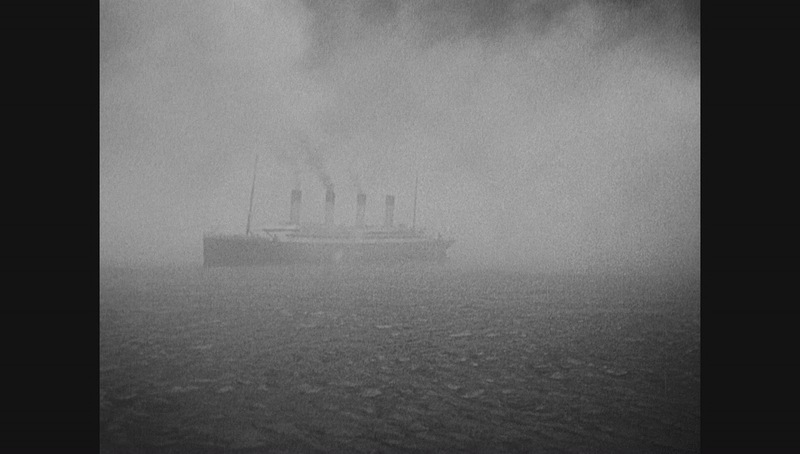 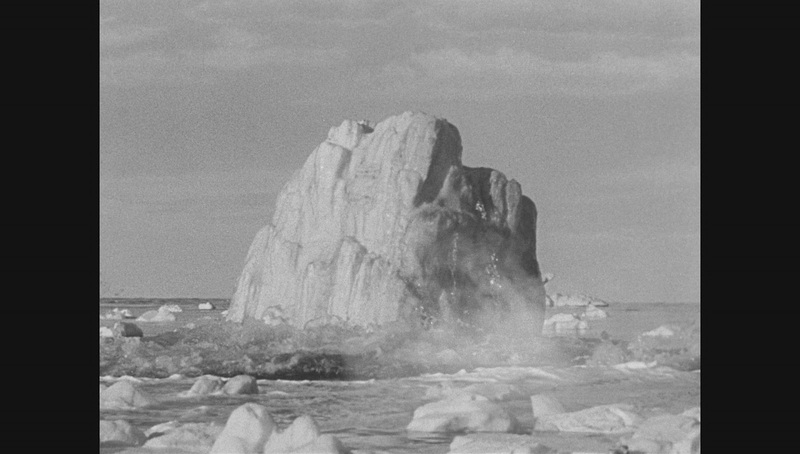 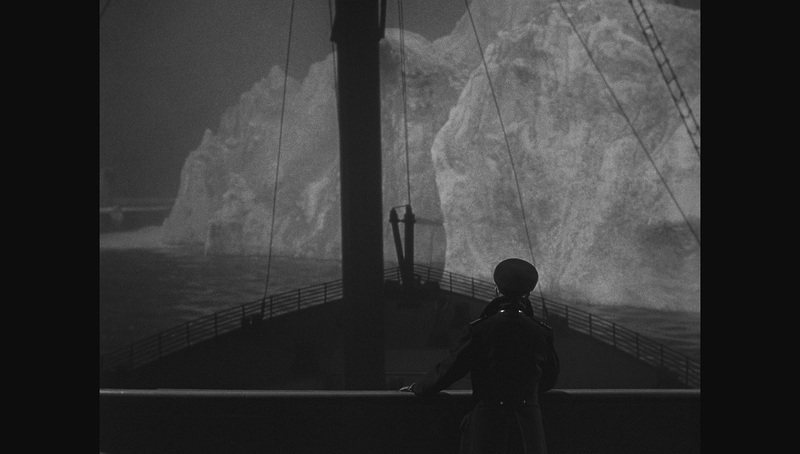 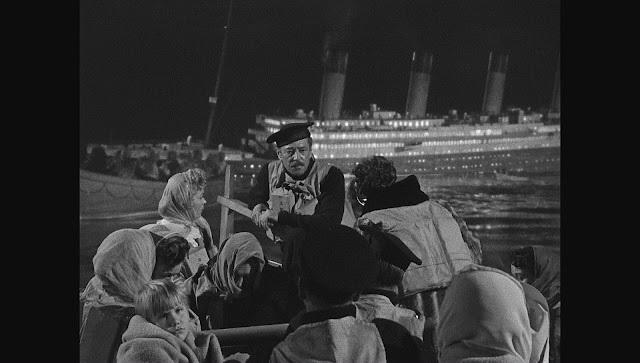 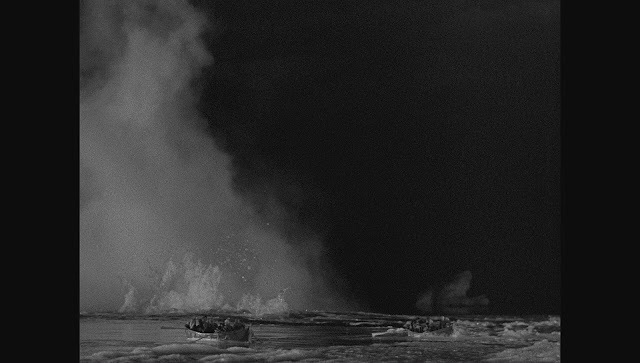 The miniature iceberg shots at the beginning of the film are particularly effective. 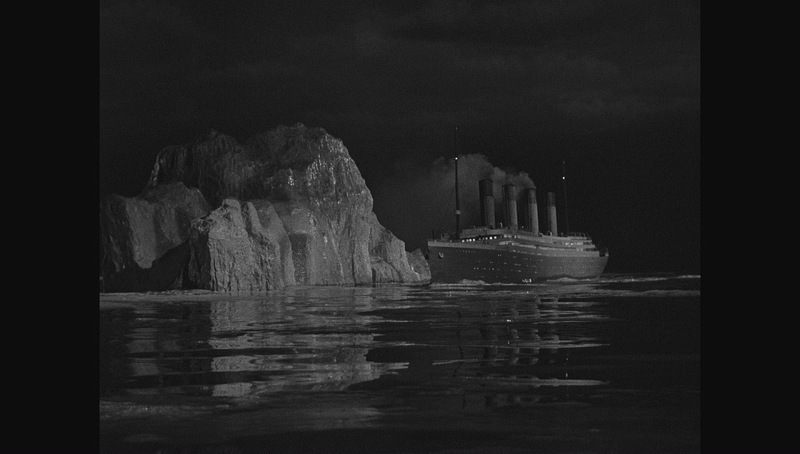 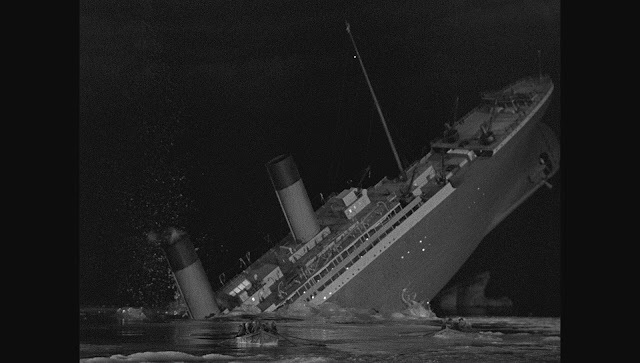 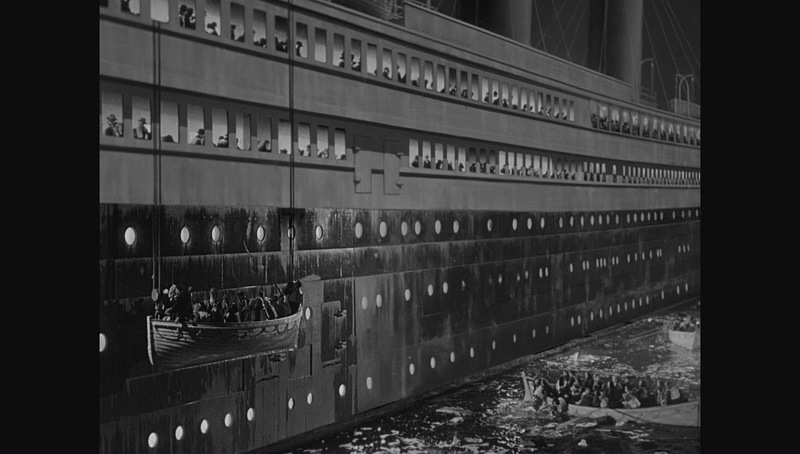 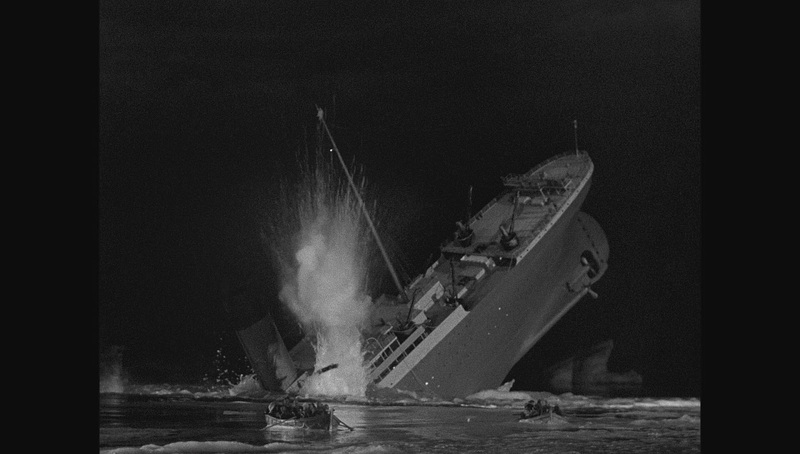 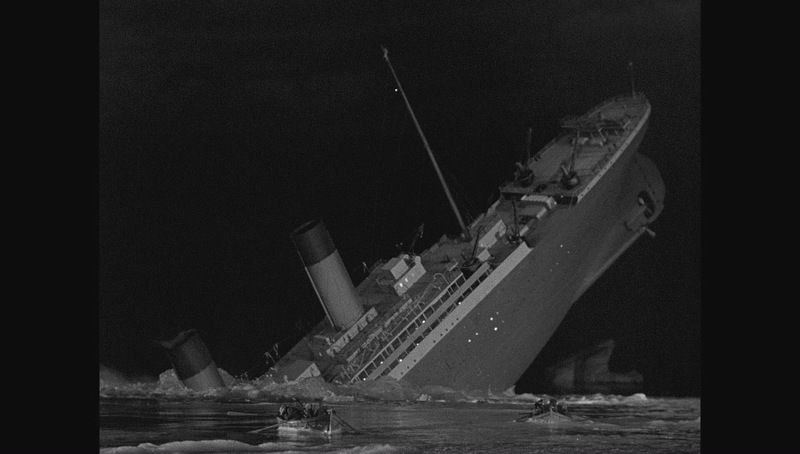 One odd aspect to the depiction of the event is that the iceberg is clearly shown passing to the starboard side of the ship but the underwater shot shows the iceberg penetrating the port side of the hull. 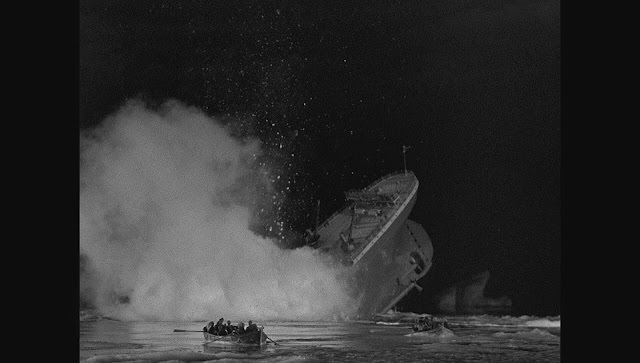 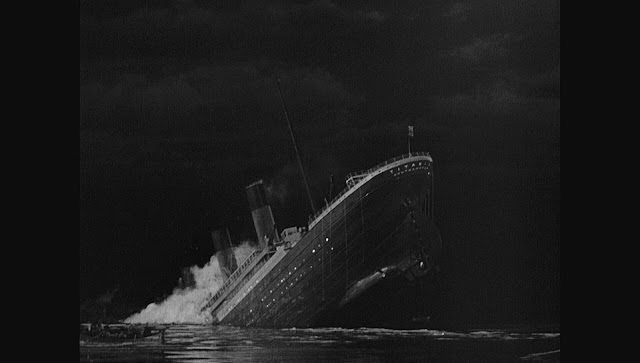 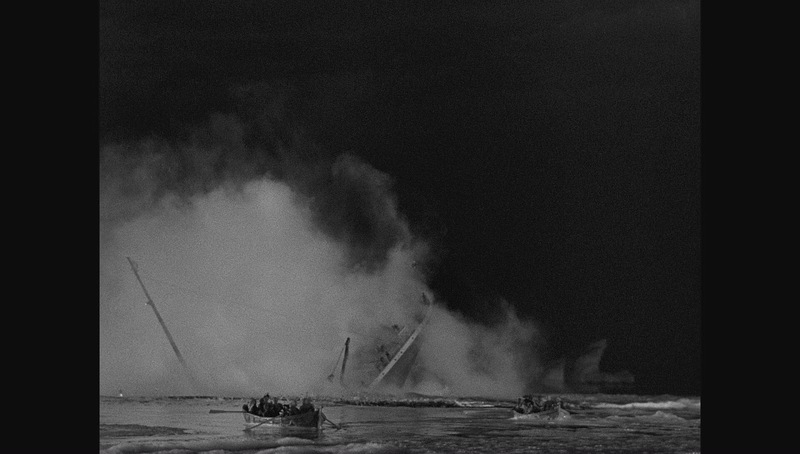 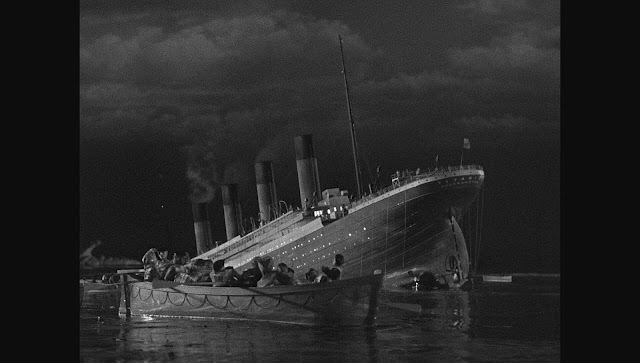 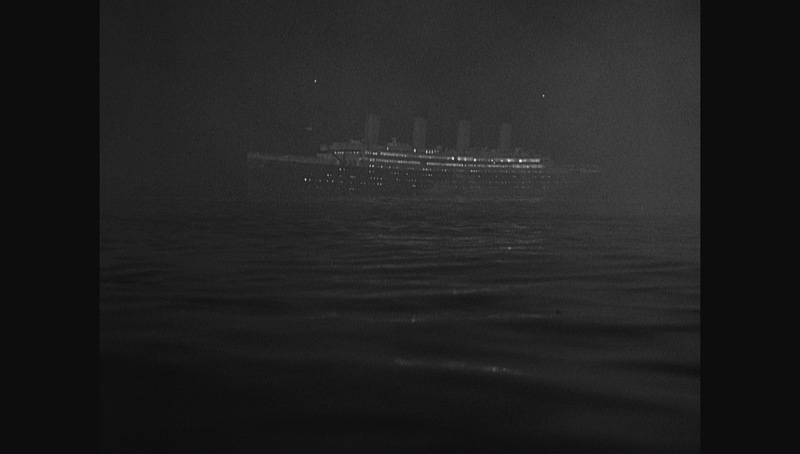 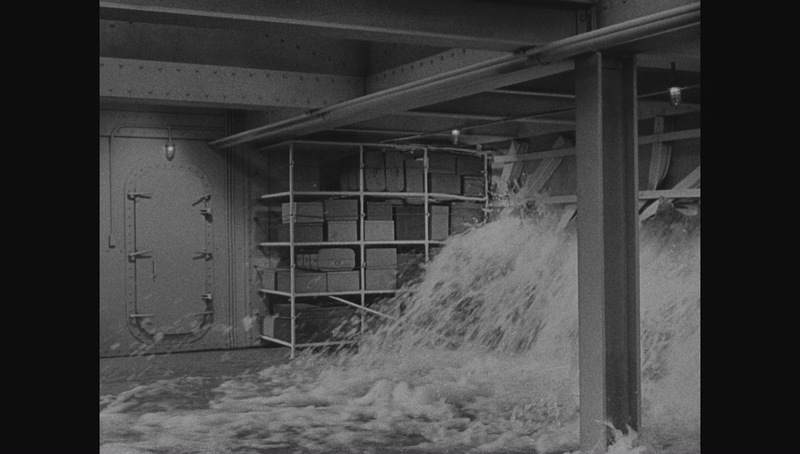 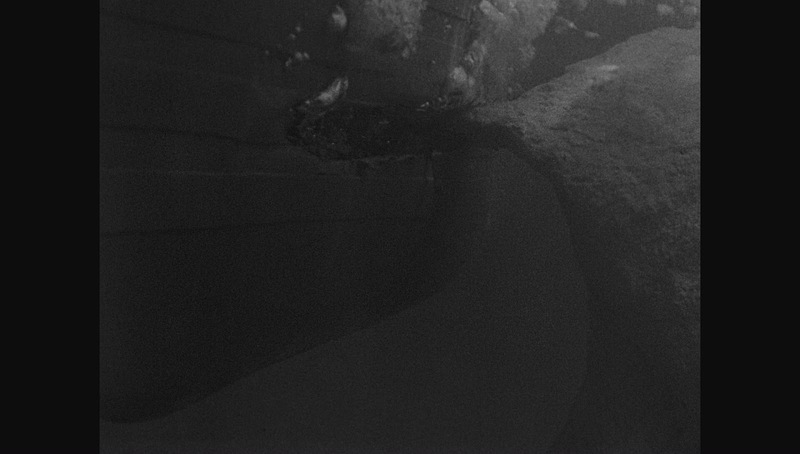 There is one shot during this sequence that shows the water pouring into the interior as the hull is gashed. 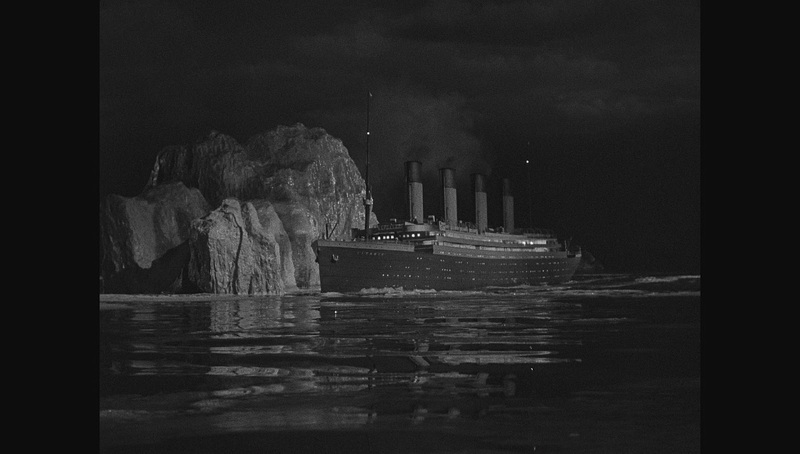 The interior is a miniature with the running extras combined into the scene with a traveling matte. 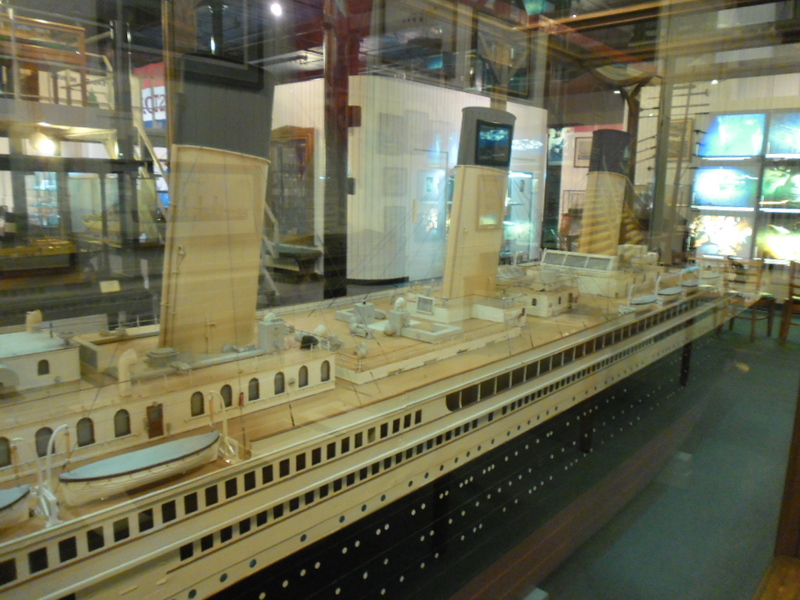 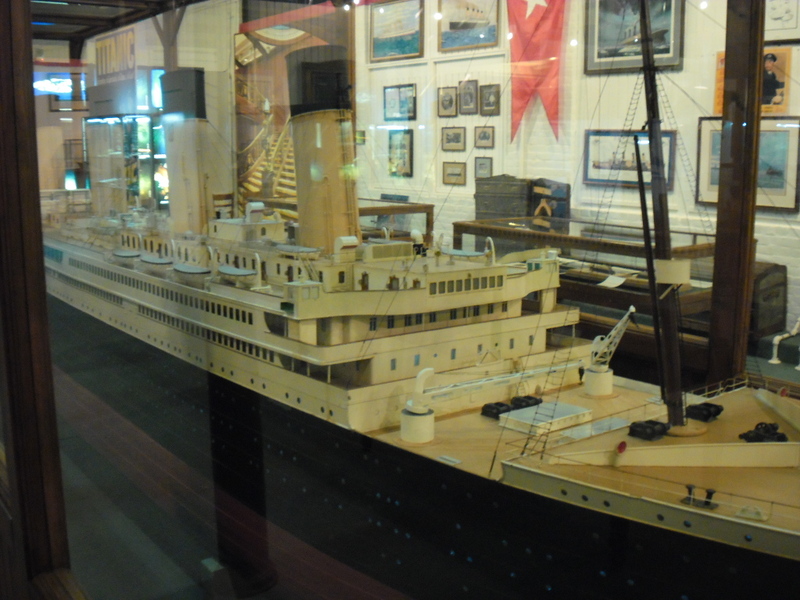 The model of the Titanic was re-used in three further films in the same year of Titanic's release. 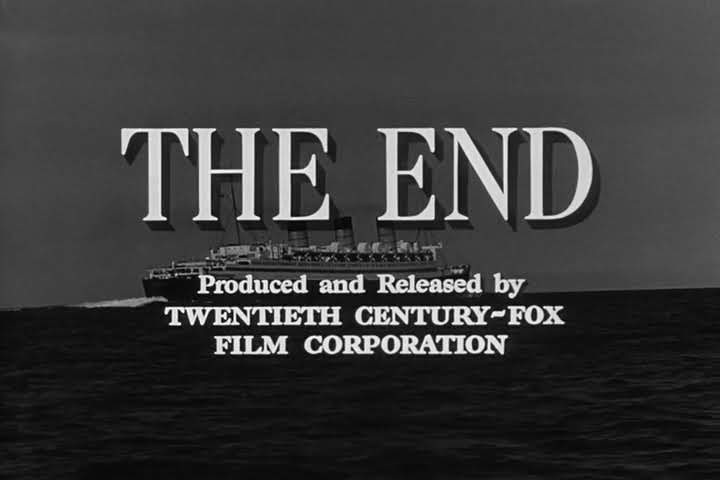 See details at the end of the post. 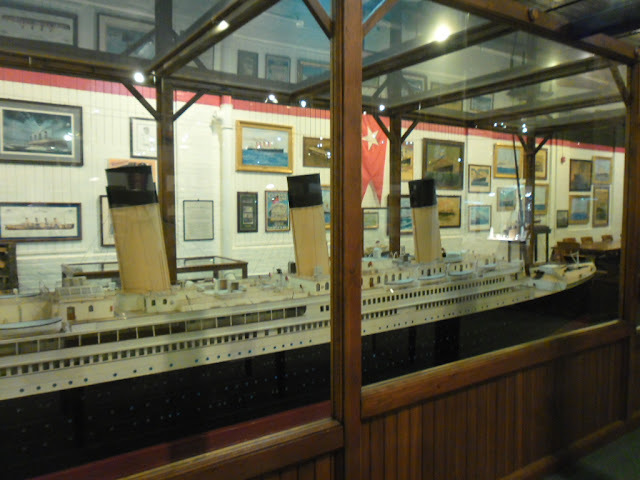 The model Titanic was 28 feet (8.5m) long and weighed about a ton. 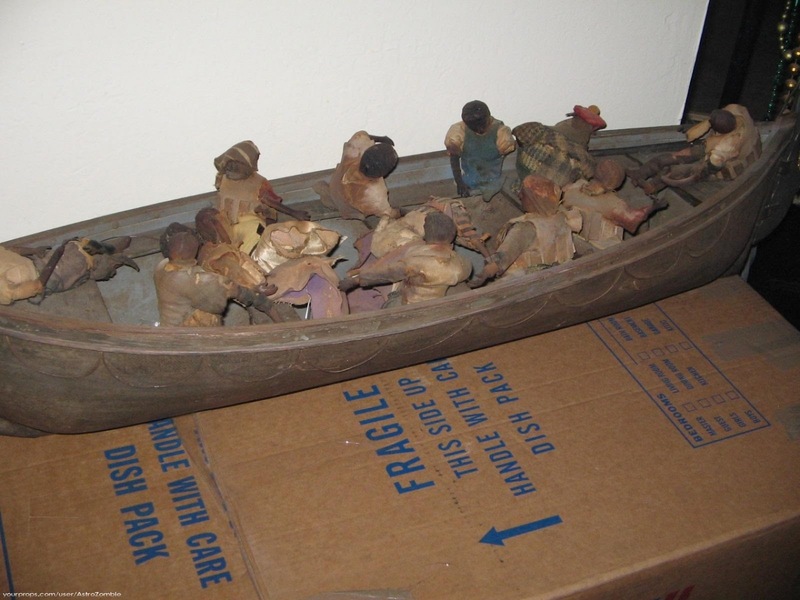 There are also miniature rowboats which were about 40 inches (1m) long packed with rubber survivor figures. The rowing figures were mechanised. 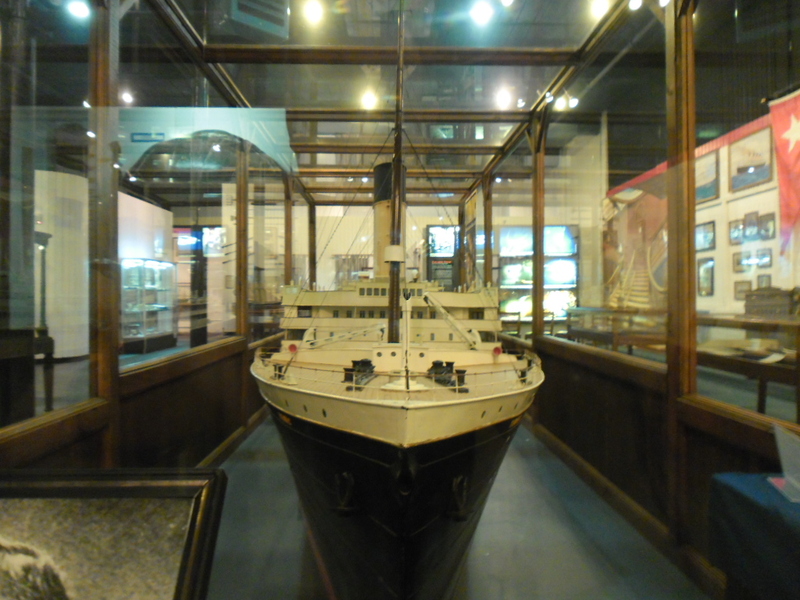 The picture below shows one of the miniature lifeboats as it is today, when it came up for auction. 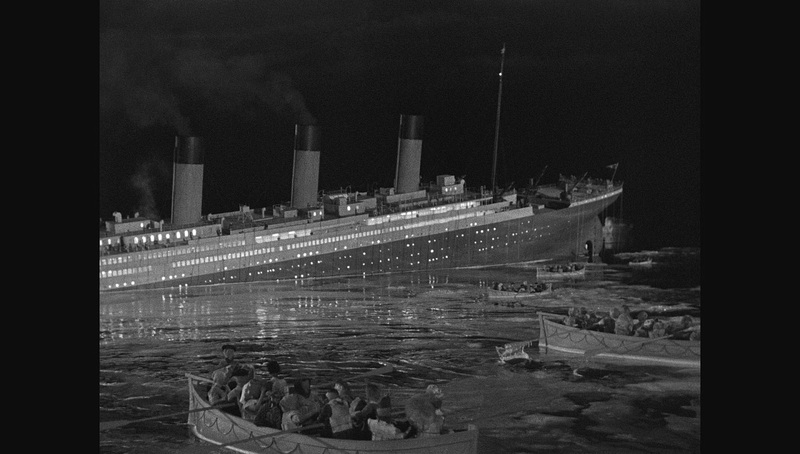 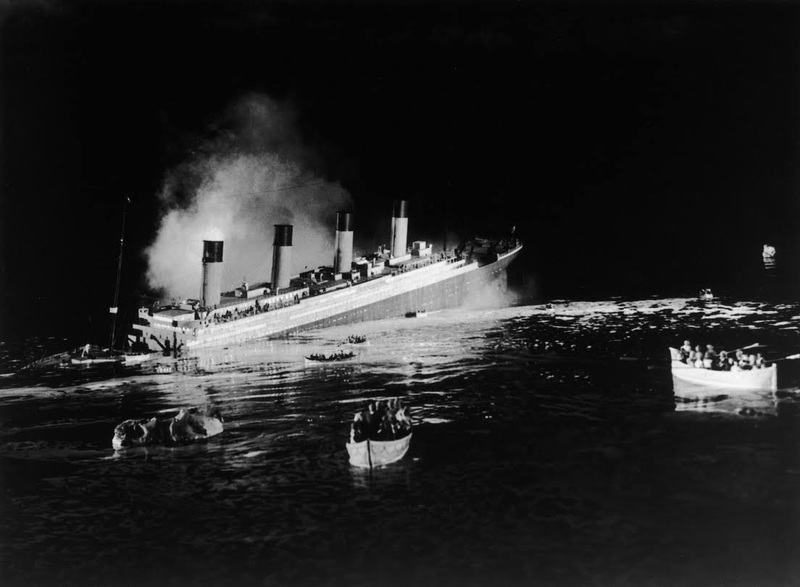 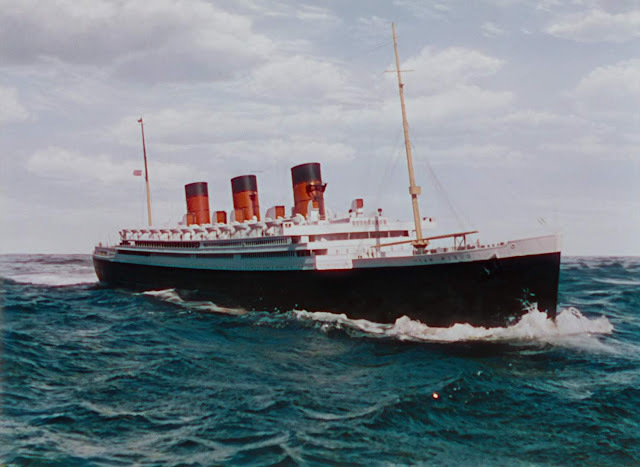 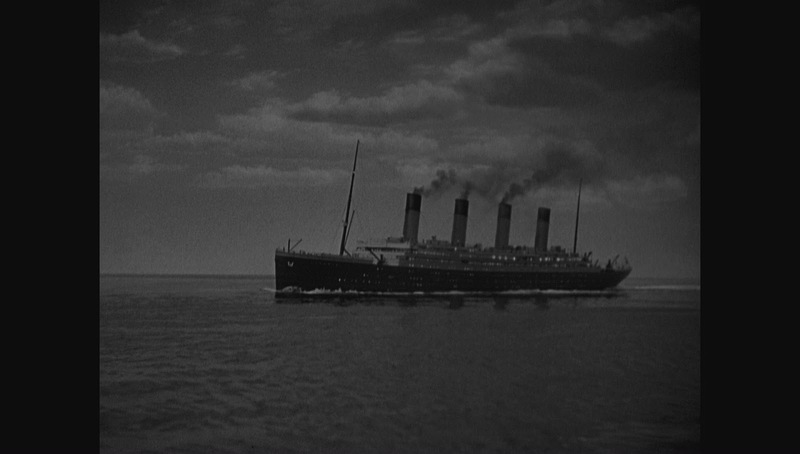 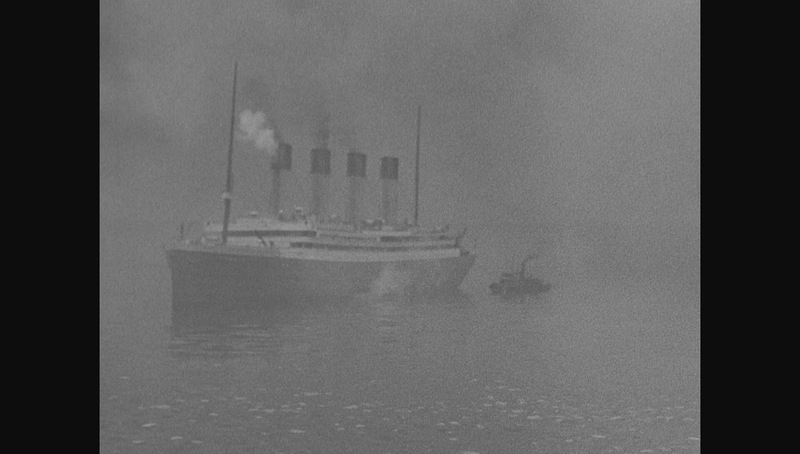 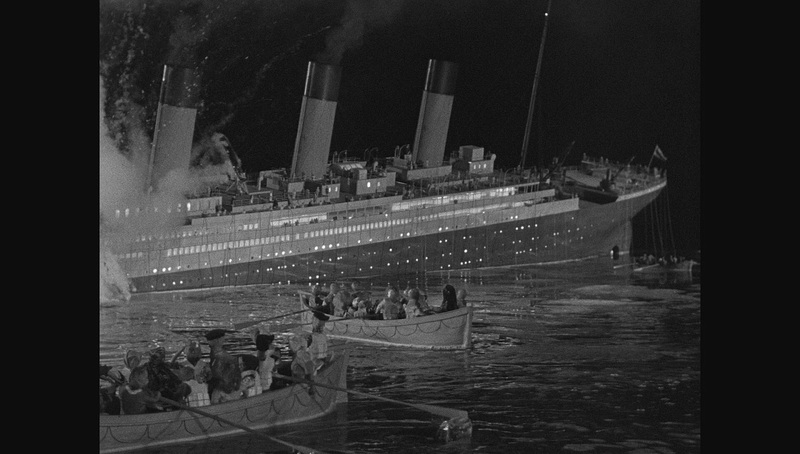 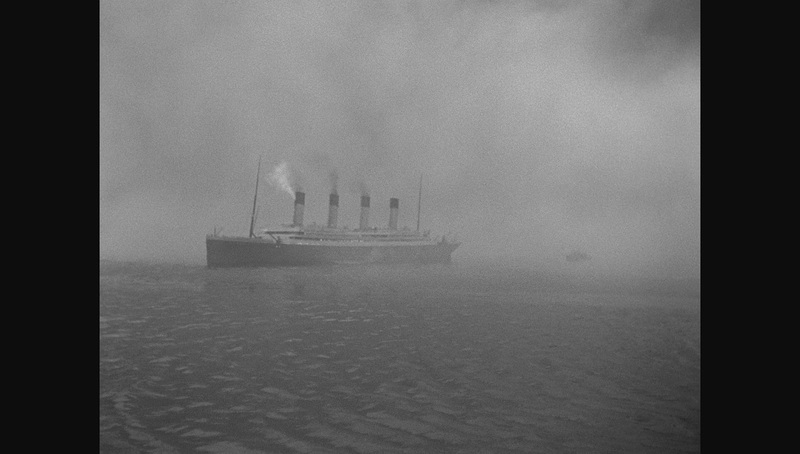 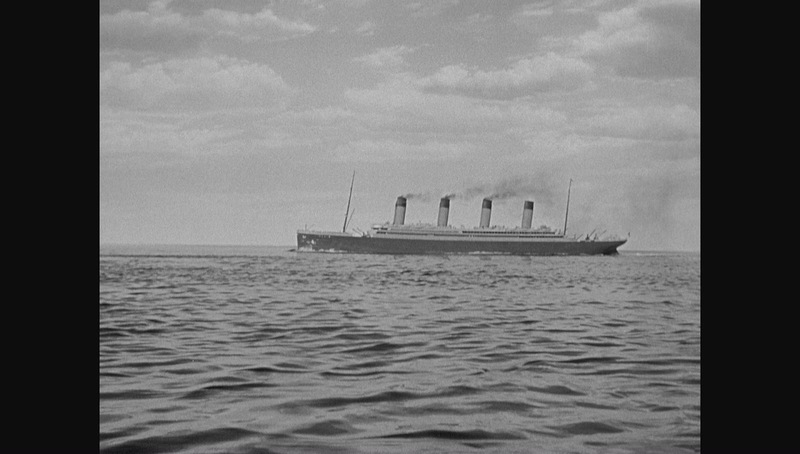 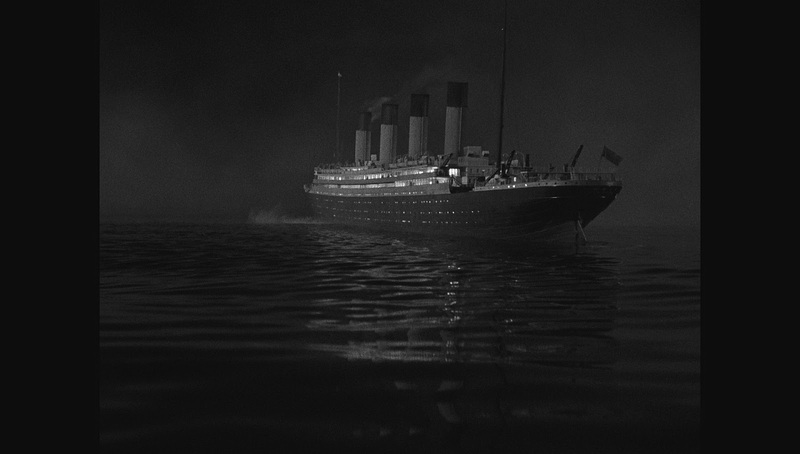 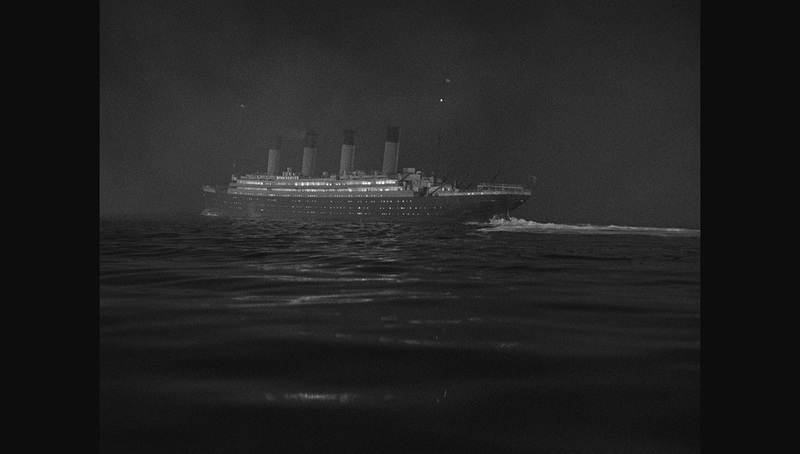 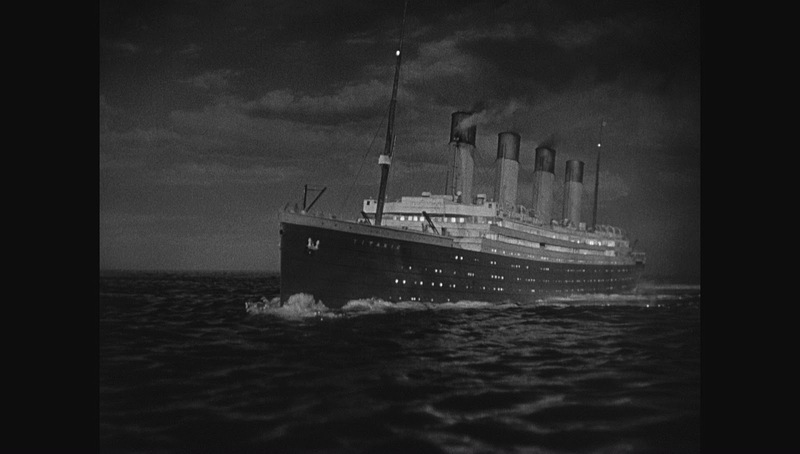 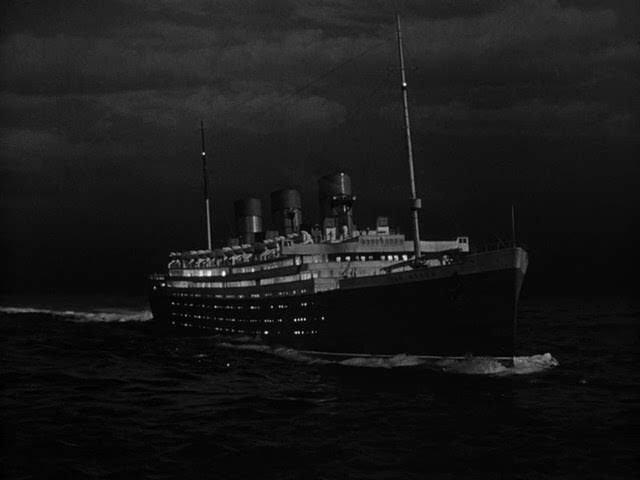 According to Jim's Titanic movies site after the Titanic film, the model was modified, having the four tall funnels replaced with three shorter fatter ones and used (along with the sets) in a further three movies, firstly Gentlemen prefer Blondes (the only time in colour), followed by Dangerous Crossing and finally Blueprint for Murder all released in 1953. 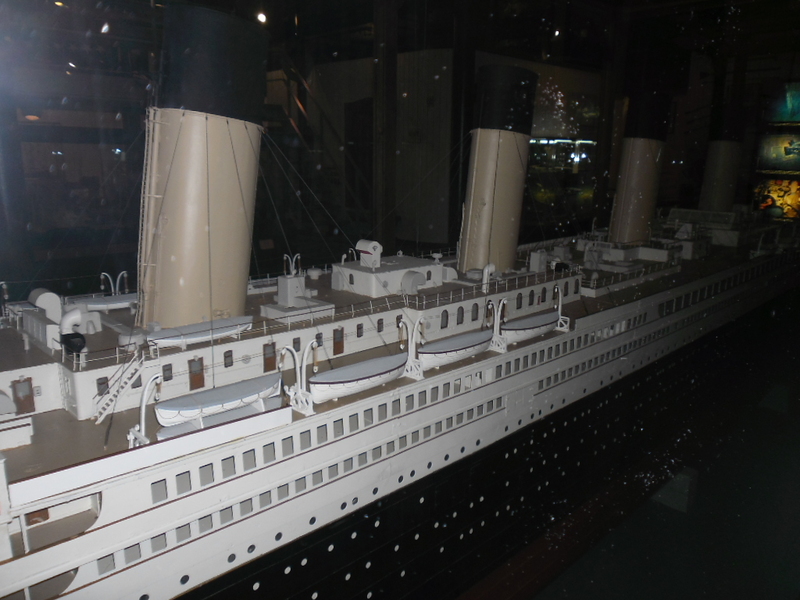 Visit this page on Jim's Titanic movie site and follow the navigation forward for more pics and info concerning the fate of the model which was sold in 1971, converted back into a Titanic and still exists. 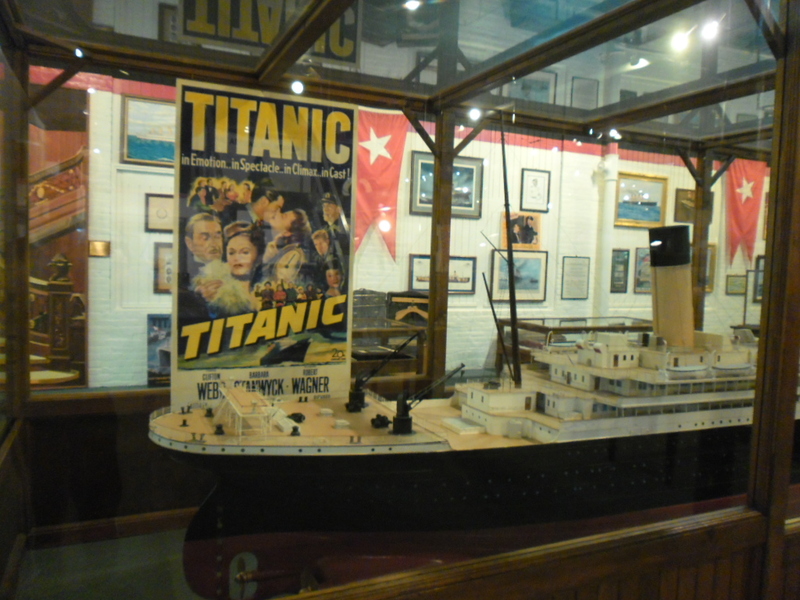 It can be seen on display at the Fall River Maritime Museum. Thanks are due to reader Patrick Walsh who kindly submitted the following photographs he took of the model as it exists in the museum while on holiday in the USA in 2013. This is a very fun website. 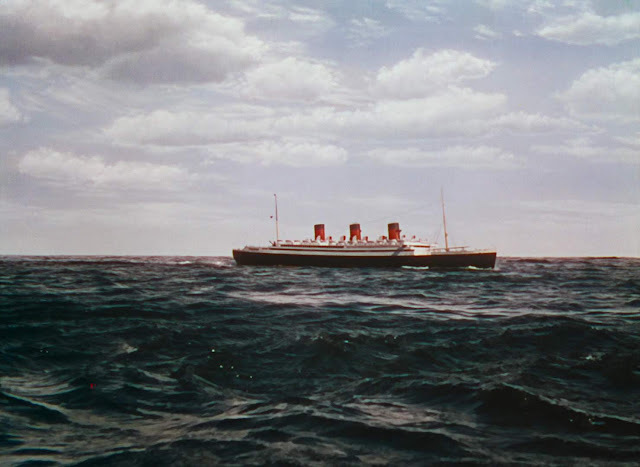 I brings back many memories of childhood movie watching. 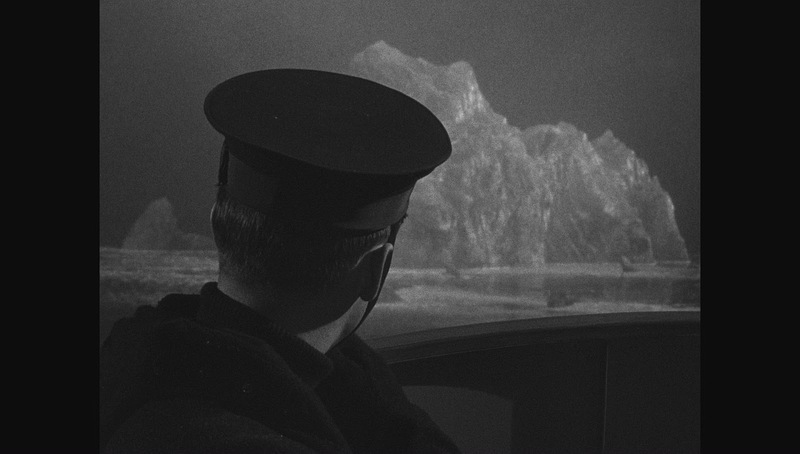 I had never heard of "Storm Over the Pacific". 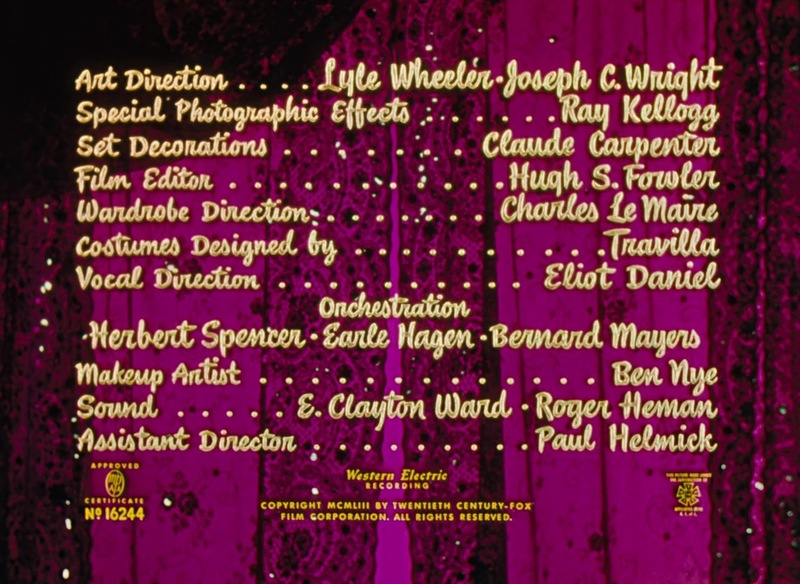 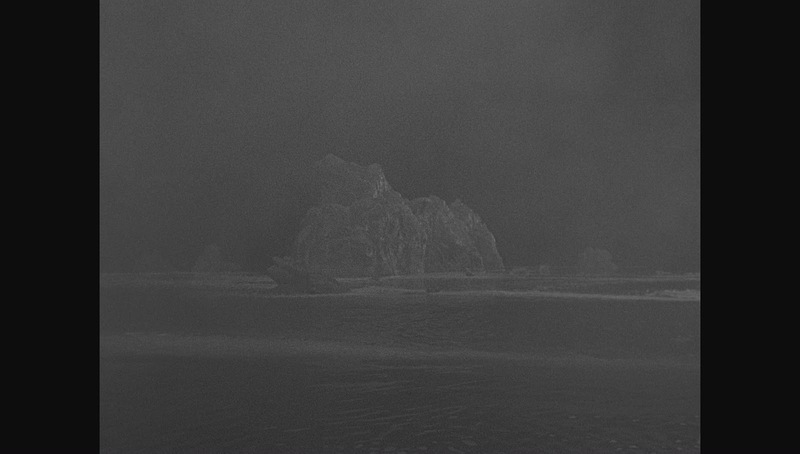 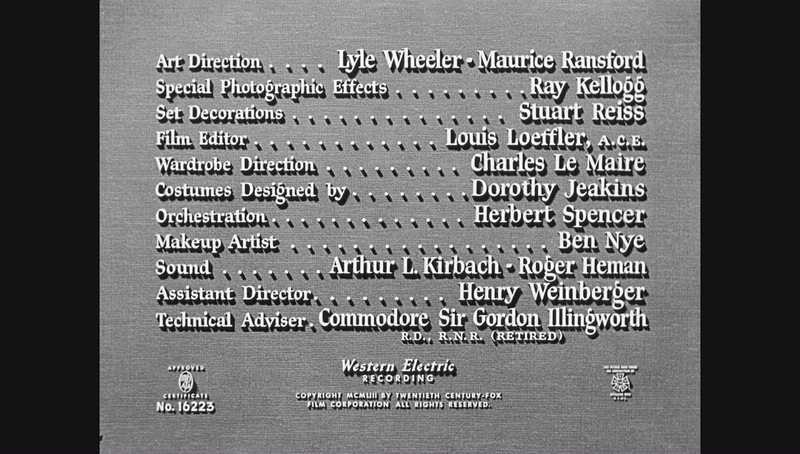 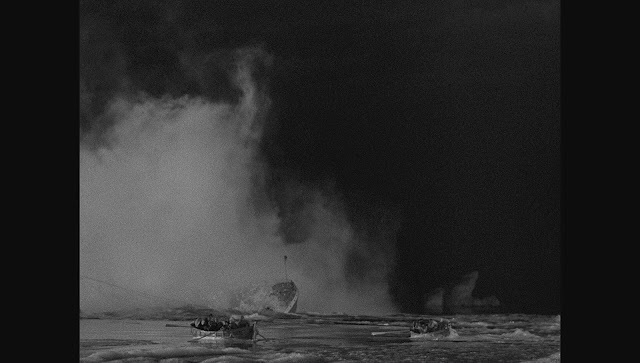 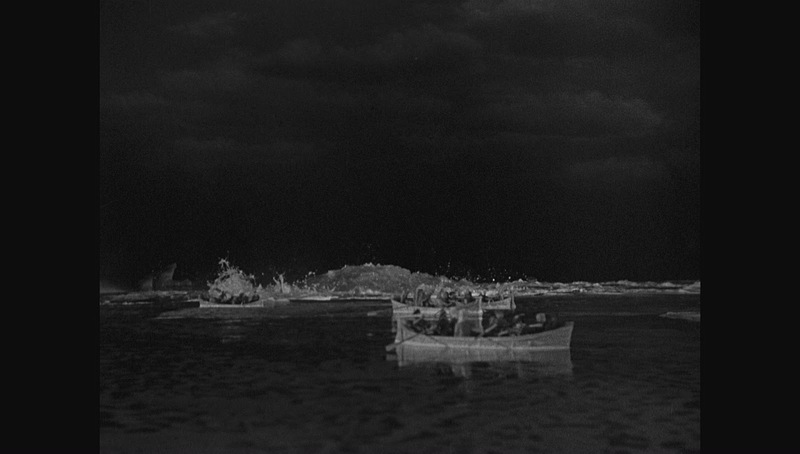 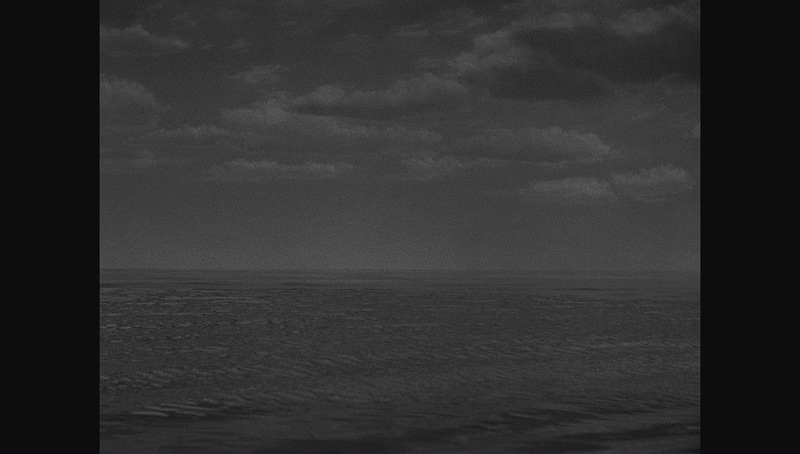 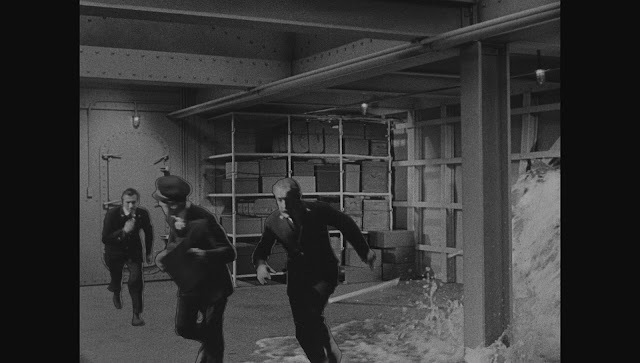 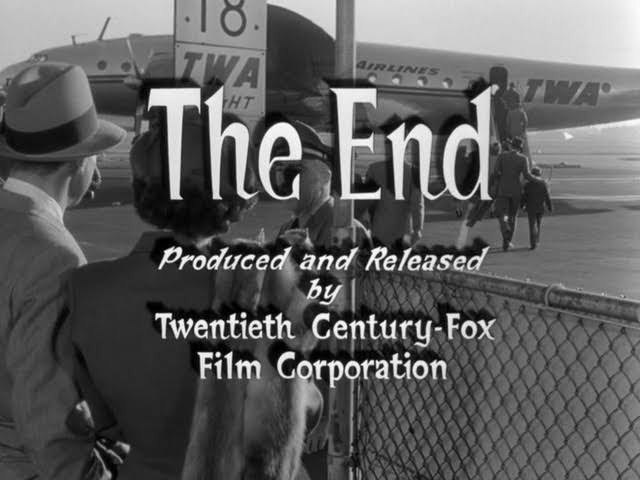 One observation, and this is a common problem in the era of wide-screen TV and digital picture editing: the images from "Storm Over the Pacific" are horizontally compressed by about 10 to 15%. 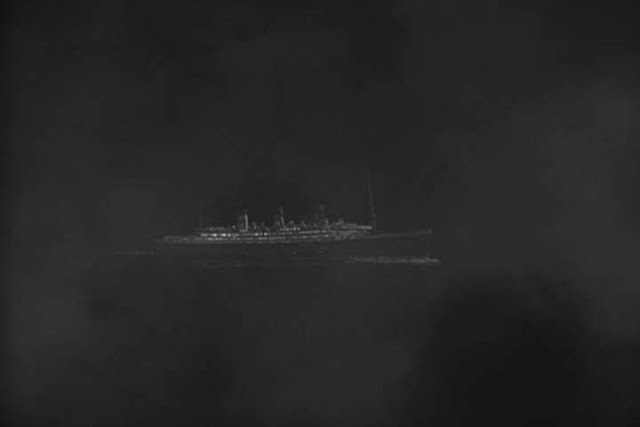 You can see it in the ships (they look too short and too tall) and aircraft (which look too tubby). In other words, a perfect square 2 units on a side would be displayed as a rectangle perhaps 2 units high and 1.8 units wide. My experience with this phenomenon has been the rule of thirds: about one third of the public cannot not see or discern aspect ratio distortion, one third can see it but don't care, and one third sees it and can't stand it. 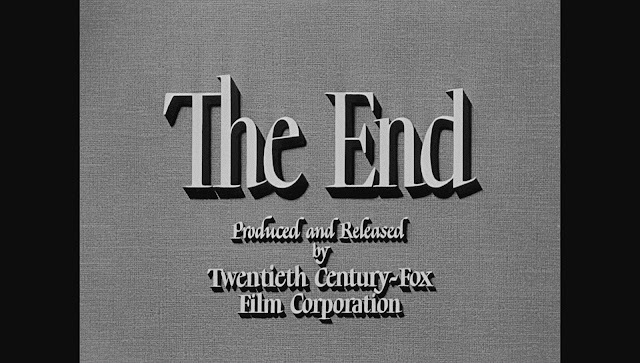 But thanks again for the website. 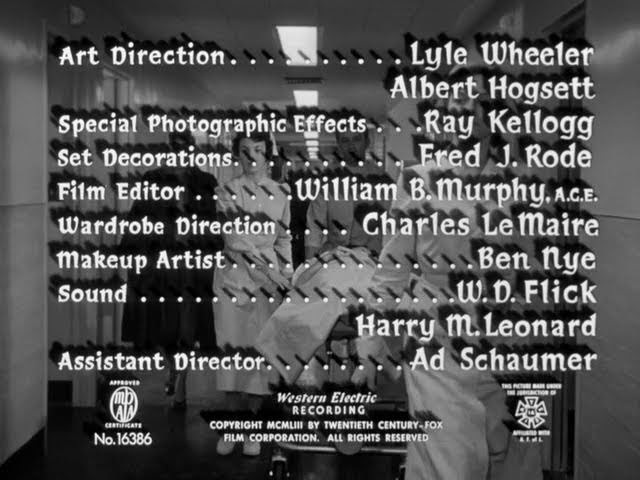 Thanks for pointing out the error. 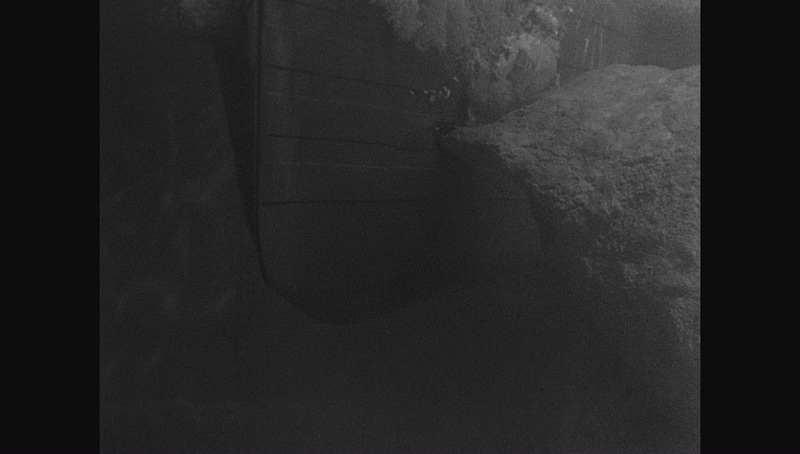 You will be relieved to note that the aspect ratio of the images has now been corrected. 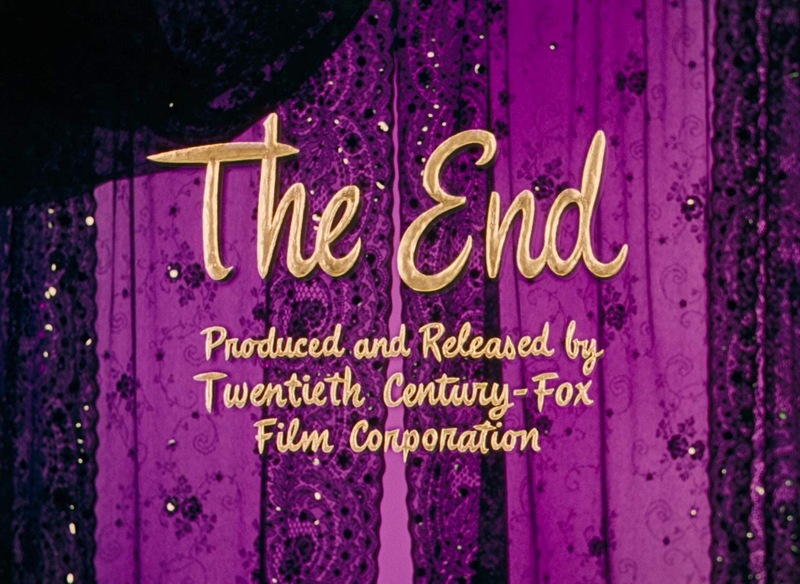 Excellent stuff as always! 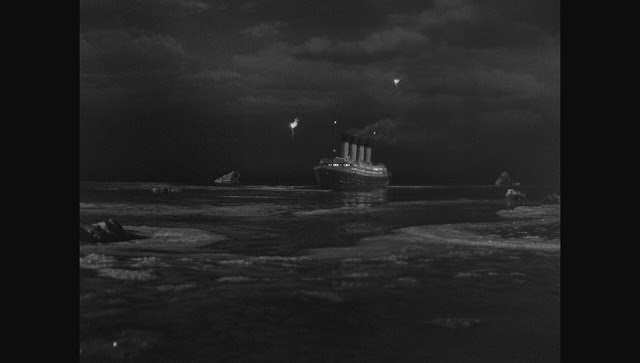 The part that always amuses me during the sinking is when the boilers explode, it's more like the Titanic has been torpedoed or struck a mine! 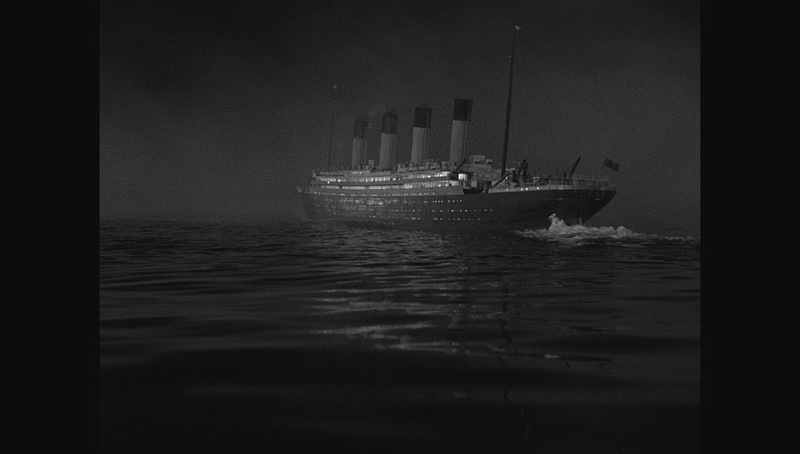 The only reason I can think of that might explain the odd switch from showing the iceberg passing to starboard above water and the iceberg gashing the port side of the hull underwater is that it allows the ship to still be shown travelling in the same direction, i.e. 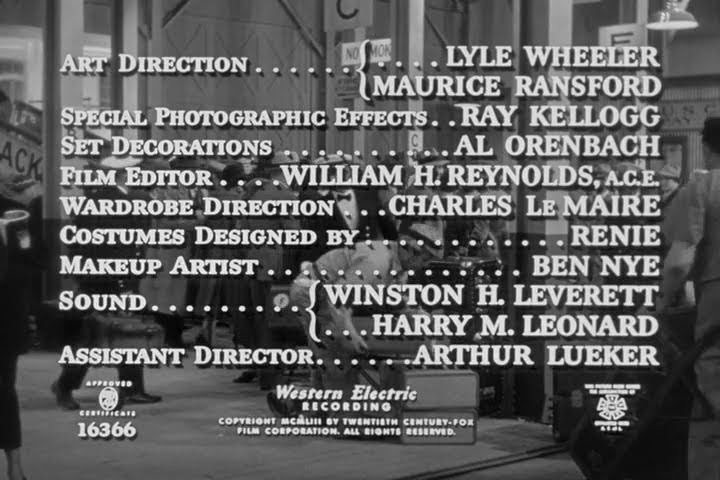 from right to left of the screen. 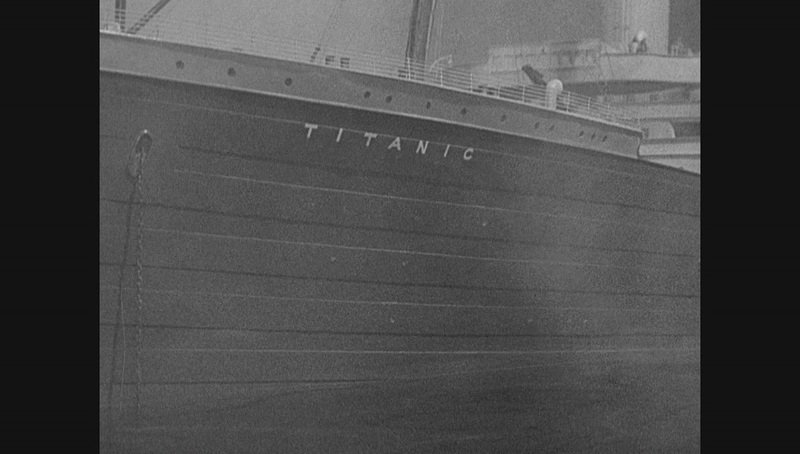 Otherwise, to show the 'berg gashing the starboard side of the hull would have necessitated showing the vessel travelling from left to right. 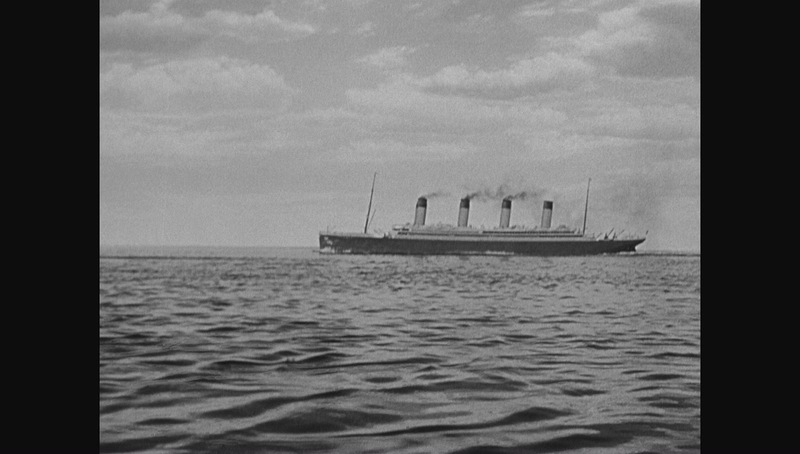 I think it's generally a convention in movies to always show a ship (or any other vehicle) travelling in the same direction as the initial establishing shot, at least if it's part of the same sequence.